A mute woman from a village in Astora, her tongue has been removed so that she can't say any god's name in vain. Anastacia is Firelink Shrine's Fire Keeper, bound to the bonfire to keep it lit. In a cell, down the stairs next to the Crestfallen Warrior. If you offer her a Fire Keeper Soul, she can upgrade your Estus Flask healing power via the "Reinforce Estus Flask" option. If you speak to her after placing a soul in the Lordvessel, she kindles the Firelink Shrine bonfire to max. If you check Anastacia’s cell, you find her dead body, her clothes, and the Black Eye Orb. The Firelink Shrine bonfire no longer functions. The Black Eye Orb can be used in Anor Londo, in the large hall right outside of the Ornstein and Smough boss room. You have a message pop up that says the Black Eye Orb is reacting to something and should now be usable in that area. 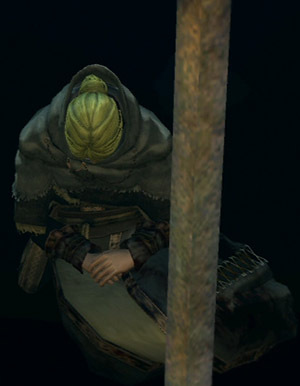 Use the Black Eye Orb to invade Lautrec’s world. After you win, you receive her Fire Keeper Soul. 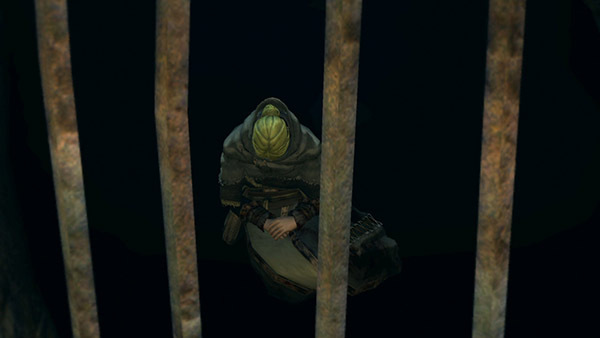 You may use it like any other Fire Keeper Soul, but uniquely, if you go back to her cell in Firelink Shrine, you can revive Anastacia. Like any other Fire Keeper, her bonfire becomes unusable when she dies, although it will still be warpable. Like any other Fire Keeper Soul, her soul is unique. When you take her soul from Knight Lautrec of Carim, if you want to revive her, you can only use that soul and no other. She is the only human NPC who cannot be killed by the player. … I am Anastacia of Astora. … Now I can continue my duty as a Keeper. … I only hope that my impure tongue does not offend. … I am impure, my tongue never intended for restoration. … That you have agreed to link the Fire. … I thank you, sincerely. … Finally, the curse of the Undead will be lifted, and I can die human. … I am powerless, but I will do all that I can.